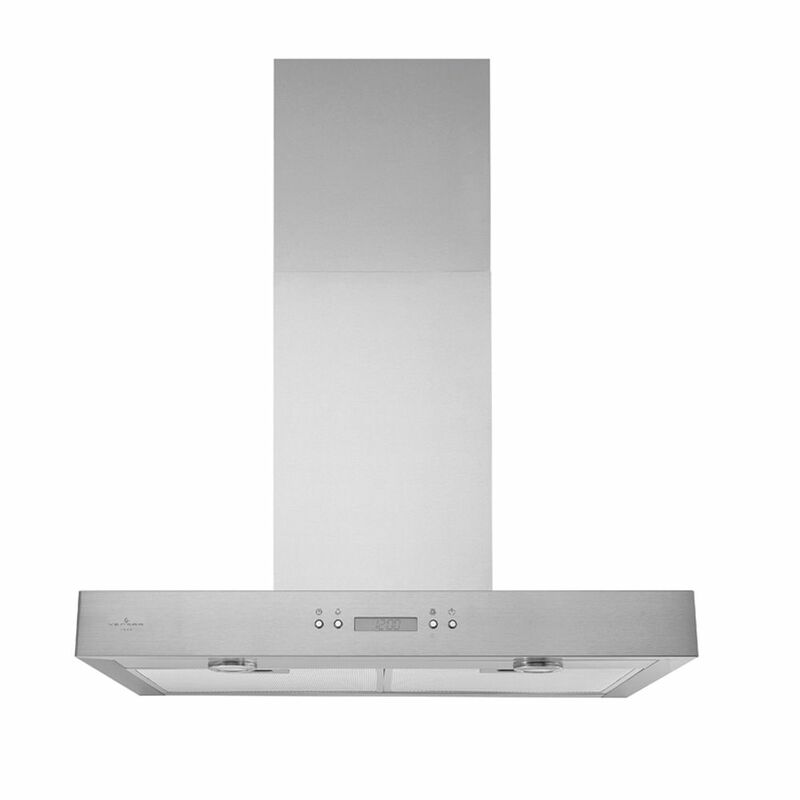 Venmar Jazz Chimney range hood. Chic, urban styling! This impeccably crafted range hood is a perfect match for kitchens equipped with the most up-to-date appliances. Made from the highest quality 430 stainless steel, the Italian inspired classic pyramid design adds elegance to your kitchen. This range hood features easy-to-use 3-speed electronic controls, eco-friendly LED lights and stainless steel baffle filters that will maintain their luster even after many washes. Ancona's WPL436 combines elegance, durability, and features ready to fit today's busy lifestyle! 24 inch 450 CFM Chimney style range hood in stainless steel Venmar Jazz Chimney range hood. Chic, urban styling! This impeccably crafted range hood is a perfect match for kitchens equipped with the most up-to-date appliances.